Accommodation in tents, with 2 people sharing a 4-person sized tent. Upgrade available to sleep in luxurious glamping tent, complete with wooden floorboards. 3 fresh and healthy meals a day to fuel your surfing progress. 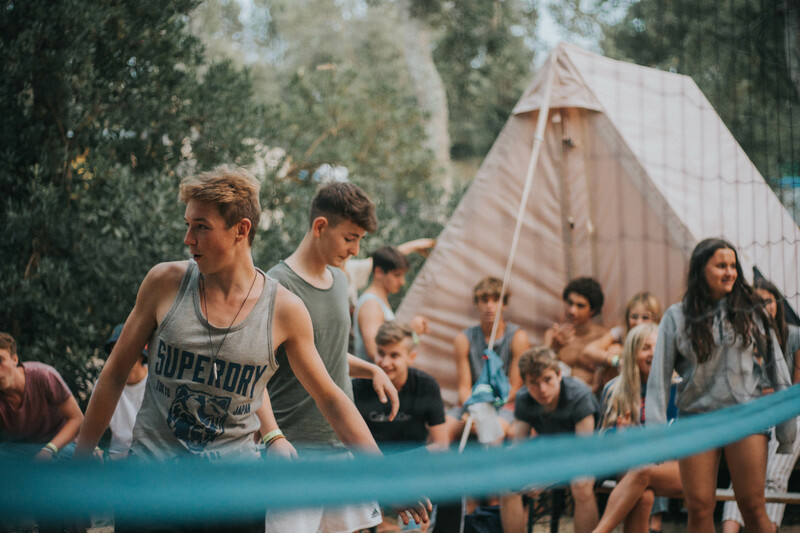 Partying, yoga, skating our own mini-ramp, volleyball, ping-pong, trampolining, hiking, shopping and much, much more! 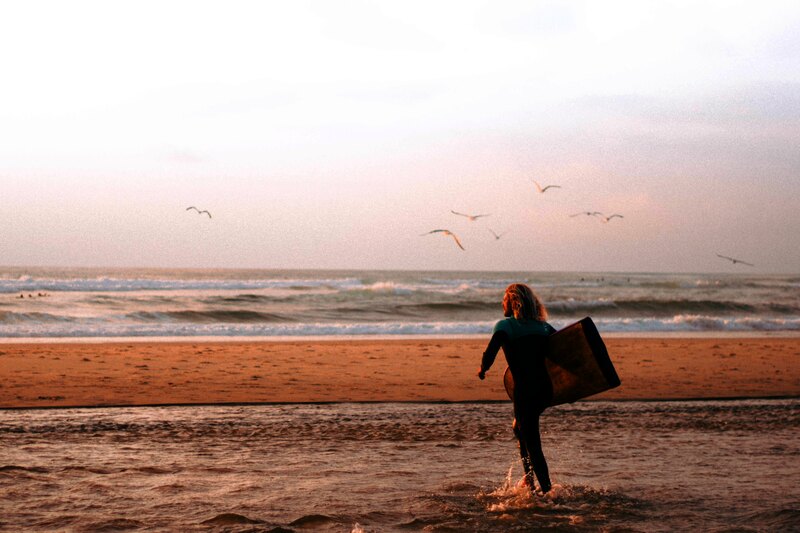 Large range of surf equipment, from boards, to wetsuits, to wax. We’ve got all you need! 800m from the beach and closest surf spot. 500m from the beach promenade. 1000m away from the popular bar L’Open. Runs July – September. Minimum age 18 years. Average age 18-35 years. Maximum capacity of 90 surfers. Bus transportation can be added to your booking. Cheap flights available from all over Europe. Shuttle service available from the nearby airports of San Sebastian, Biarritz, Bilbao and Bordeaux. Moliets is a small town in South-West France, situated on the Atlantic coast. If you visit Moliets during the winter months, you’ll be greeted by a quiet, sleepy town and will probably be quite confused as to what the fuss is all about. 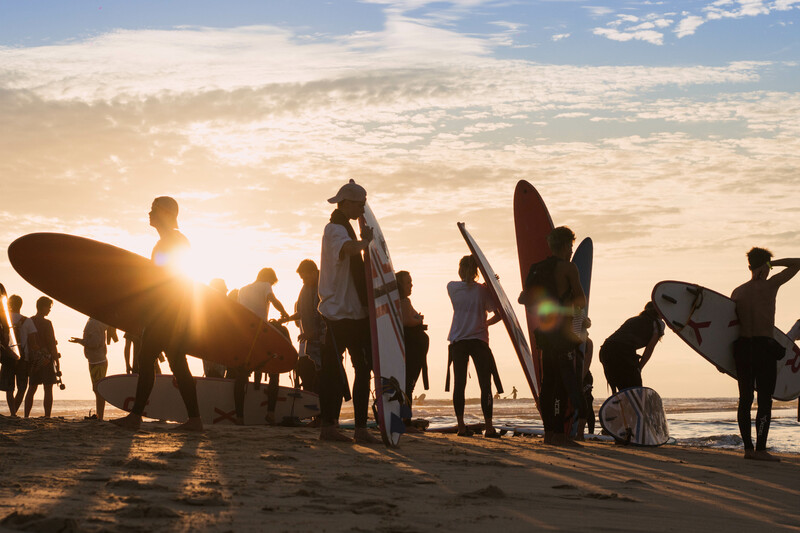 However, it’s with the coming of summer, the re-opening of the surf camps, and the return of the surfers, when Moliets really comes to life! Moliets in summer is infamous. 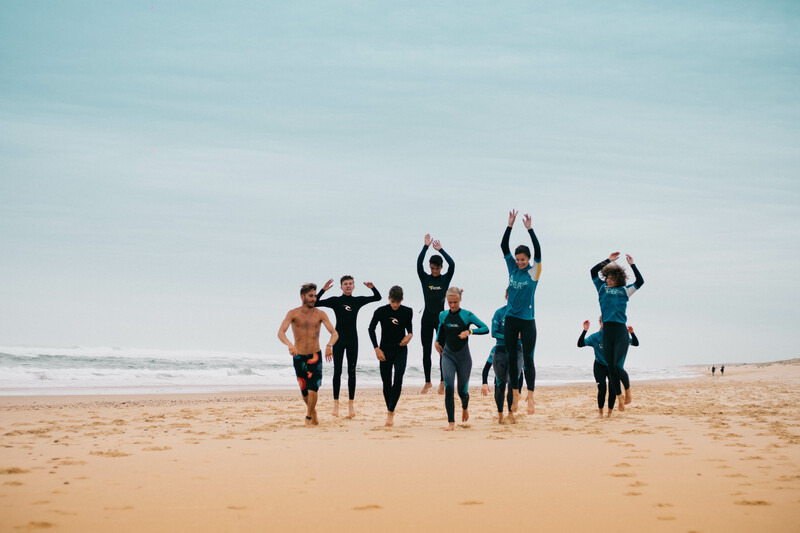 Our surf camp is set beneath the pines of the forest of Landes, behind the extensive sandy beaches of the Cote d’Argent, within the campsite of ‘‘Les Cigales***’’. In summer there are waves ideal for every level of surfer, and multiple peaks on offer. The beach is in walking distance, and the bars, restaurants and surf shops too. Moliets is the perfect place for a lively week of surfing and partying, and our guests return year on year for the epic waves and legendary parties. 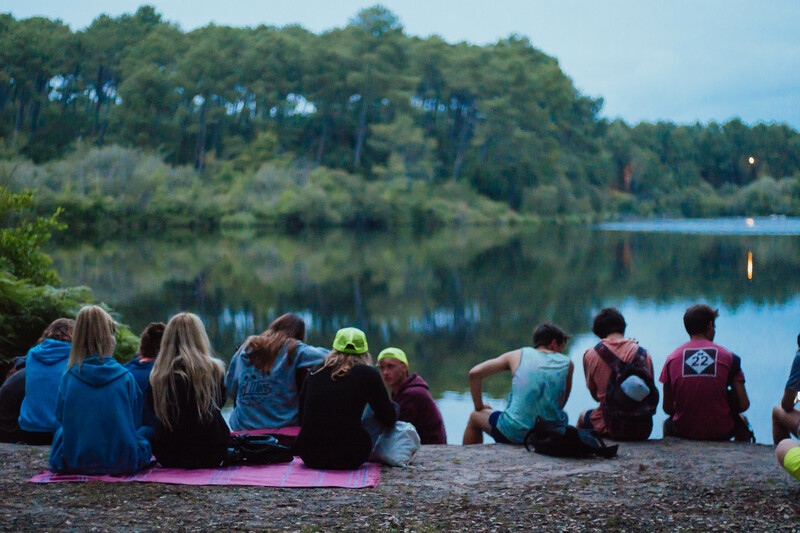 When you’re not at the beach, there is plenty to do at camp. 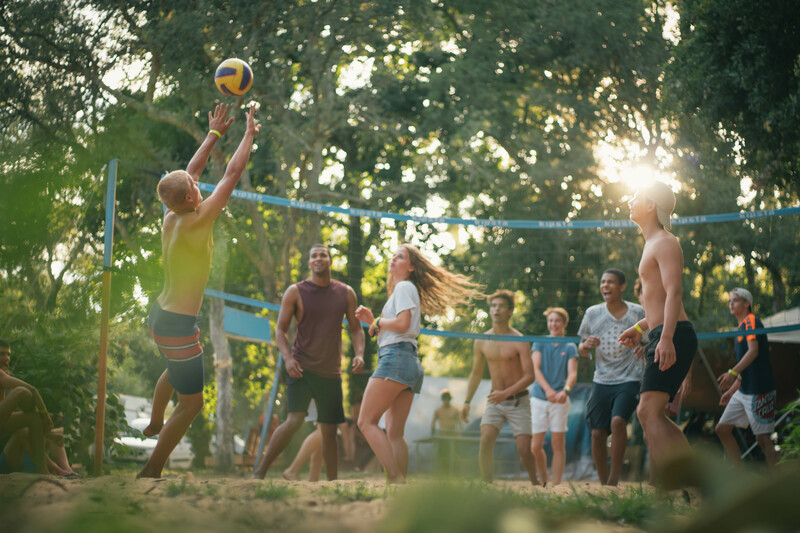 If you’re feeling active, there is a football pitch, and basketball and tennis courts too. We’ve also got our own mini-ramp to skate and a beach volleyball court too. Of course, there are plenty of areas to chill-out in. In the evenings we host a varied programme of events for everyone to get involved with and there are weekly day trips on offer too. Our Moliets team can’t wait to welcome you to camp this summer!